Today, U.S. 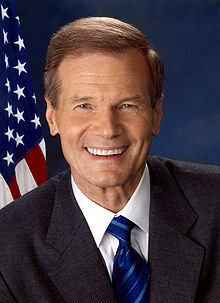 Senator Bill Nelson announced he will vote "no" on the motion to invoke cloture and, if that succeeds, will vote "no" on the confirmation of President Trump's nominee to the Supreme Court, Judge Neil Gorsuch. Senator Bill Nelson stood by Floridians today by opposing an extreme nominee who would prioritize polluters over people. Judge Gorsuch would be a rubber stamp for the Trump Administration's agenda, which is to unravel long-standing protections for our air, drinking water and climate. Judge Gorsuch was hand-picked by the ultra-conservative Federalist Society and the Heritage Foundation, both funded by the oil billionaire Koch brothers. Gorsuch’s judicial philosophy would limit the access of everyday Americans to the courts and prevent agencies like the EPA from fulfilling their mission and doing their job. Meanwhile, U.S. Senator Marco Rubio, also supported by the Koch brothers, has already backed Gorsuch. Rubio's climate denial and antagonism to EPA protections are well-established. With threats to our air, water and climate, our state needs strong protections now more than ever. Rubio calls Gorsuch "mainstream," but residents of the most at-risk state to sea level rise can't afford a justice willing to turn a blind eye.